1. Variable ND control on light volume. 2. PRO High Definition quality image. 3. ND2 - ND400 light reduction. 5. Utilizes slower shutter speed (longer exposure) to produce flowing and blurred motion effects. 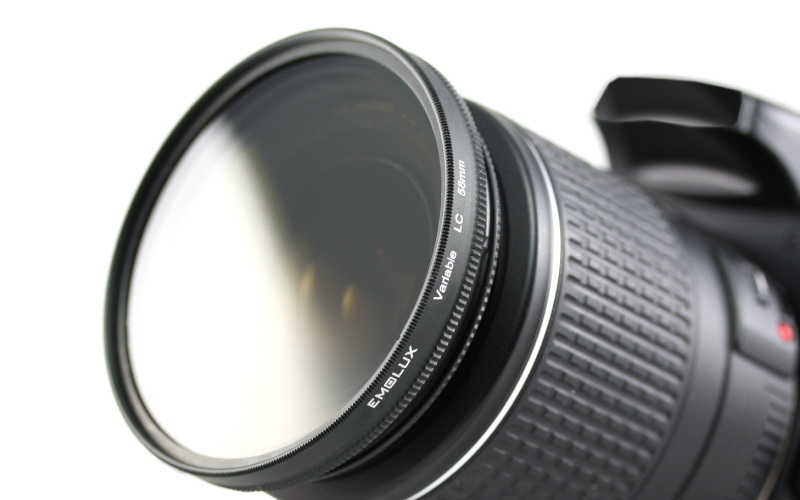 Emolux Slim HD variable light control (VLC) filter allows the reduction of light entering the lens ranging from 1 to 8 equivalent f/stops while maintaining the high image quality. This is achieved by rotating the front ring attached in front of the filter and is compatible with wide angle 18mm and above without vignette. By reducing light volume, contrast in pictures can be increase significantly and prevents picture washout even when the higher f/stop (bigger number) is being used. A smaller f/stop (smaller number) can also be used to control the depth of field without being overexposed. Slower shutter speed can be used to create natural flowing effect (i.e. waterfall) without affecting the overall color tone. Faster shutter speed, combined with smaller f number (smaller number) can also be used under bright condition which will produce a shallow depth of field picture (freezing an action) without overexposure. VLC filter is housed in a slim filter frame which produces high image quality with maximum clarity without vignette, finished in black matt which reduces the possibilities of stray light reflection.